This is almost too simple to mention, but you just can’t underestimate the transformative powers of adding a little fat and salt to your veggies, particularly the green ones. Plain, steamed broccoli, beans or Brussels sprouts don’t get many people excited, and are likely to be totally shunned by non-veggie lovers, but add a drizzle of olive oil and a tiny pinch of salt and suddenly they take on a whole new dimension. I do this while they’re still in the pan so that you can give them a good toss around and get them nice and evenly coated. Plus, a little bit of fat helps our bodies to absorb many of the vitamins from the veggies too. Something about roasting vegetables brings out their sweetness and makes them so much more delicious. 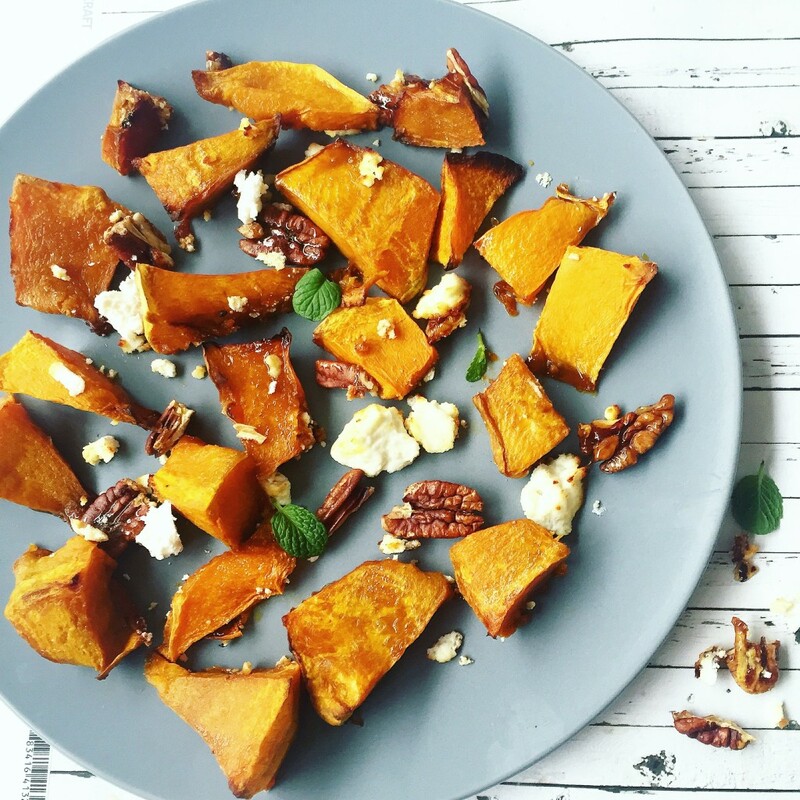 Roasted pumpkin has always been one of my absolute favourites and for some reason boiled or steamed just doesn’t compare. Just about everyone loves roast potatoes, but don’t limit yourself to spuds – beetroot, sweet potato, onion, tomato and fennel also make for great roasting. Roasted cauliflower is one of my more recent favourites, particularly sprinkled with some spices like cumin and ground coriander – sweet and delicious! This very quick trick is a total winner. Pesto is so full of flavour that a little bit goes a long way. 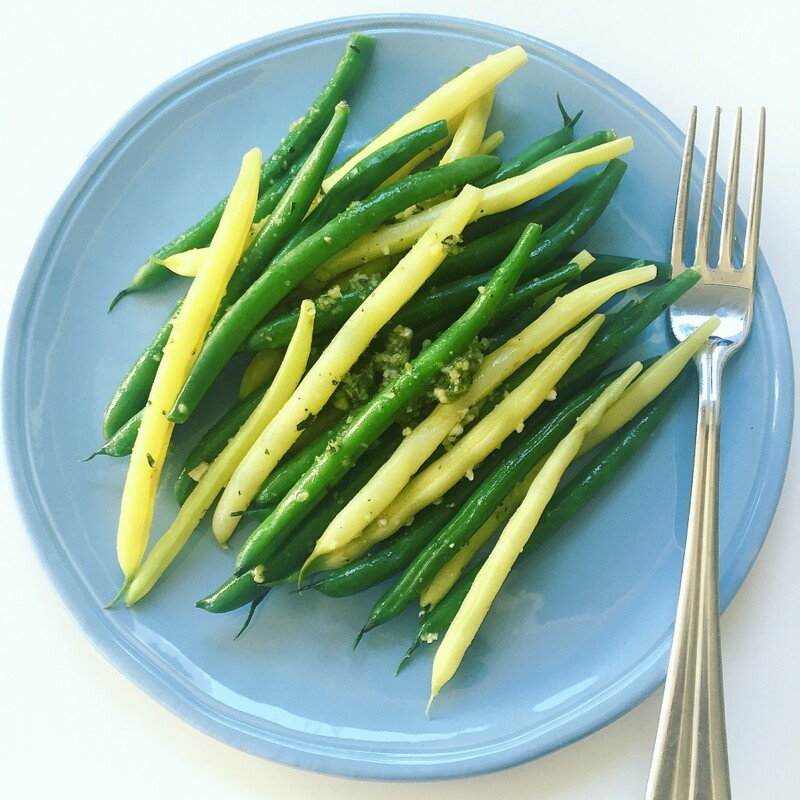 Just add a spoonful to a pan of steamed veg like green beans, peas, sautéed capsicum, broccolini or even plain old boiled potatoes for an instant boost of deliciousness. Homemade pesto always tastes the best but if you’re not the ‘make your own pesto’ type, just buy a good quality version from the supermarket. Adding nuts is about the most simple and effective thing you can do to make veggies infinitely more appealing. My favourites are flaked or slivered almonds with beans, pumpkin with pumpkin and sunflower seeds or pine nuts and broccoli and cauliflower with sesame seeds, actually I could go on and on…. Just make sure you toast them first – this makes a huge difference (I just do this in the microwave, place them on a plate and cook on high for around 30 seconds depending on what kind of nuts they are, just keep going in short intervals until they’re nice and golden brown). And in case you need anymore convincing, nuts and seeds are also a great source of protein, healthy fats, vitamins and minerals and help to fill you up too! This might sound a bit complicated, but it’s really not at all. 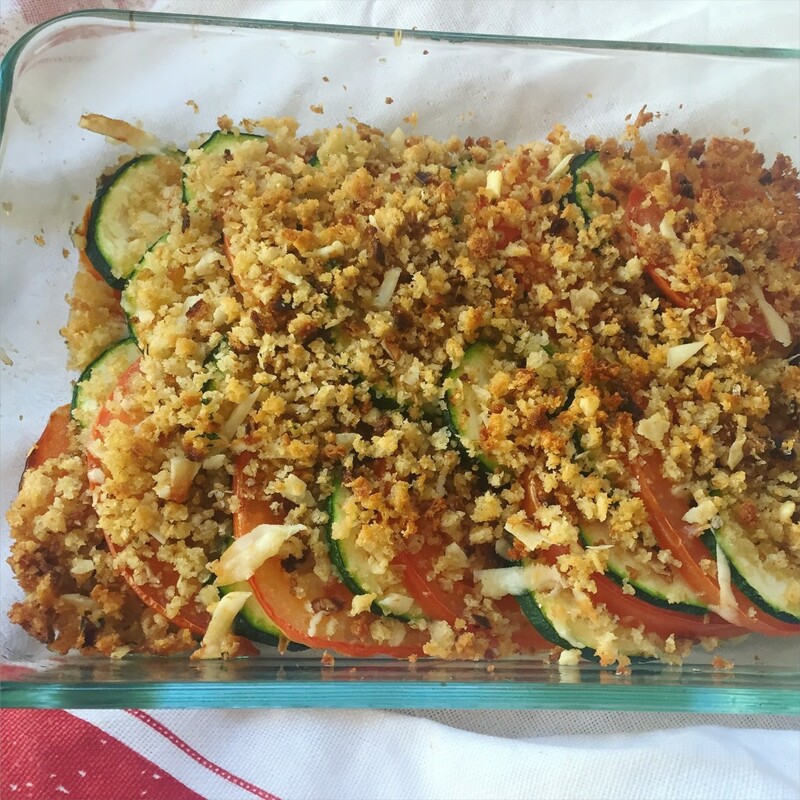 To add a bit of extra crunch and flavour to baked veggies like tomato, zucchini, potato, fennel or a combination of these, sprinkle a few handfuls of breadcrumbs mixed with some olive oil, chopped herbs, garlic and parmesan over finely sliced veg. Then just bake until the veggies are cooked through and the crumbs are nice and golden brown (hint: if they start to get too brown before your veggies are cooked, place a piece of baking paper over the top). Oh cheese, you make everything better. 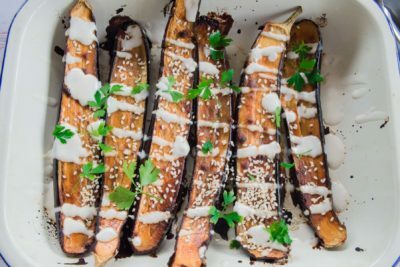 Adding some goat’s cheese, feta or grilled haloumi to an otherwise plain salad, or dotting some beetroots with blue cheese before roasting them makes veggies instantly more gourmet. 10.Do a combination of the above! Don’t limit yourself to just one of these methods, feel free to get creative and mix and match! For example, roasted veg with nuts and/or seeds and some cheese. 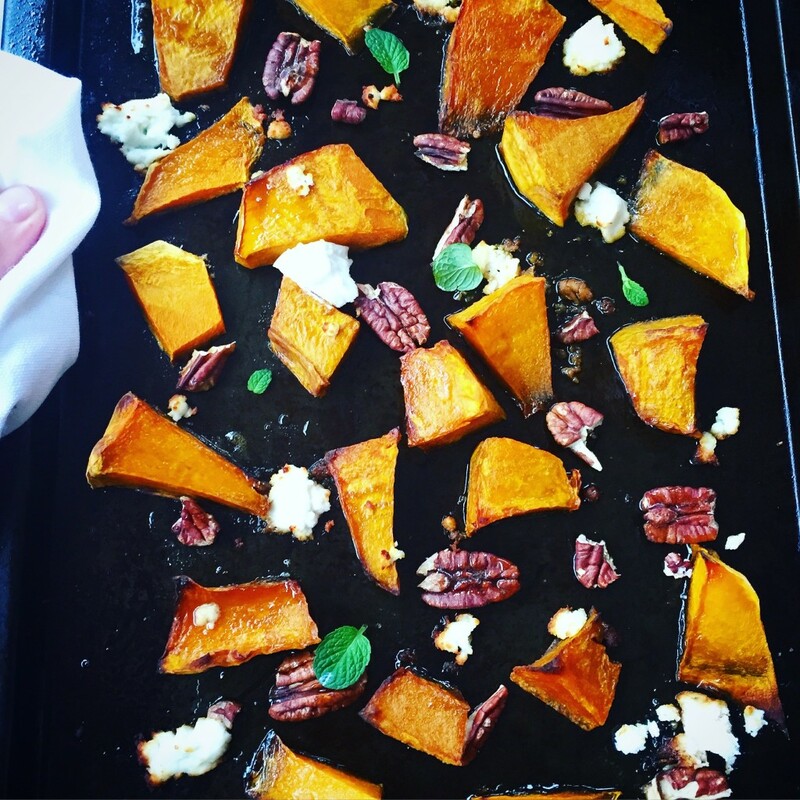 One of my favourite combinations is roast pumpkin with pecan nuts, goat’s cheese and honey. Just put some roughly chopped pumpkin in the oven at 180°C for about 15 minutes, then when just starting to brown sprinkle over some pecan nuts and crumbled goat’s cheese, drizzle over some honey and roast for another 5-10 minutes until the nuts are nicely toasted and the cheese is golden brown. The best!